DULLES, Va. Raytheon officials received a subcontract to deploy sustainment and cybersecurity experts around the world to support the ground control systems and onboard sensors used by the U.S. Air Force fleet (USAF) of RQ-4 Global Hawk remotely piloted aircraft. 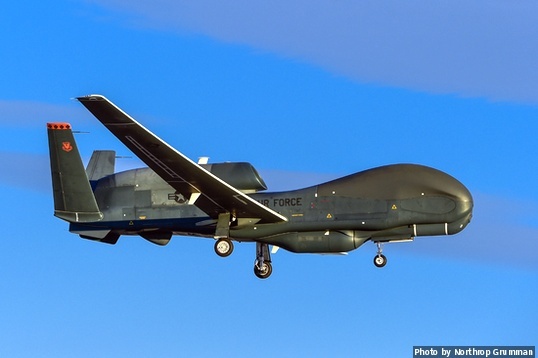 Raytheon Intelligence, Information and Services will perform the work, which includes providing software upgrades to defend against cyber threats, as part of a $65 million subcontract from the aircraft manufacturer, Northrop Grumman. The contract includes hardware and software sustainment and modernization efforts.